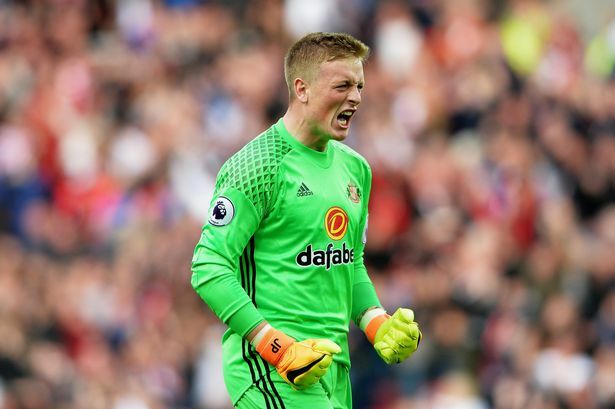 Newcastle United are reportedly considering an audacious summer move for Sunderland goalkeeper Jordan Pickford, according to the Sun. The Magpies boss Rafa Benitez is reportedly mulling over a sensational summer move for the 23-year-old stopper, as the club prepare for their return to the Premier League. The report claims, Benitez is looking for a budget somewhere around £100 million this summer to target the Black Cats keeper if he gets the funds he is desiring for. Pickford has been impressive throughout the current season at the Stadium of Light and unsurprisingly has a long list of admirers – The Magpies are one of them. The report adds, Everton remain favourites to win Pickford’s signature, but Newcastle United are leading the race to compete with the Toffees, Manchester City, Arsenal and West Ham, and want to offer him a contract worth £75,000-a-week.